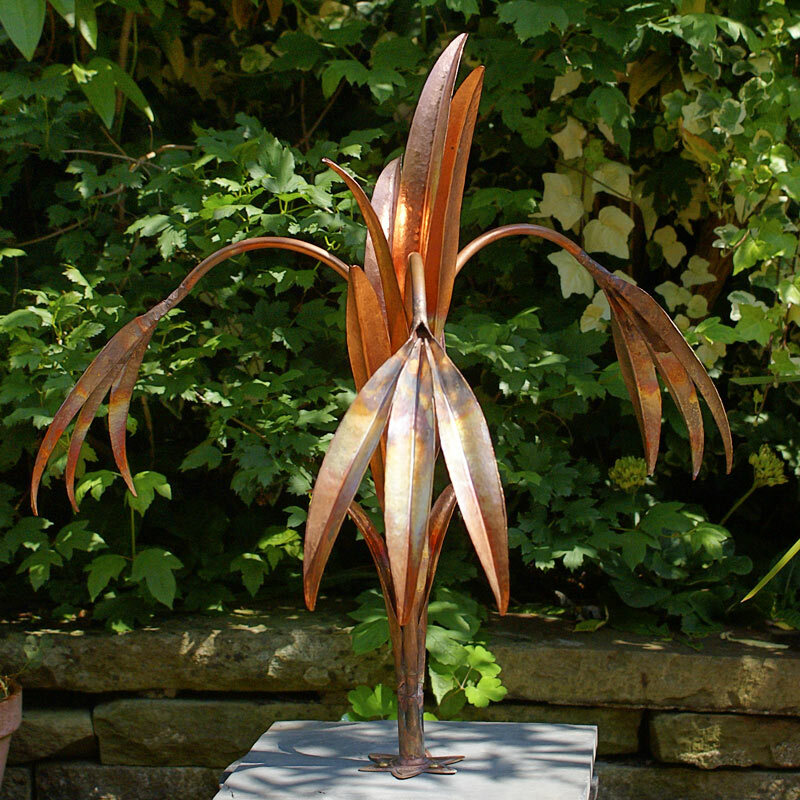 A hand-beaten copper fountain with three arching branches, neatly directing the flow of water over the leaves at each end. 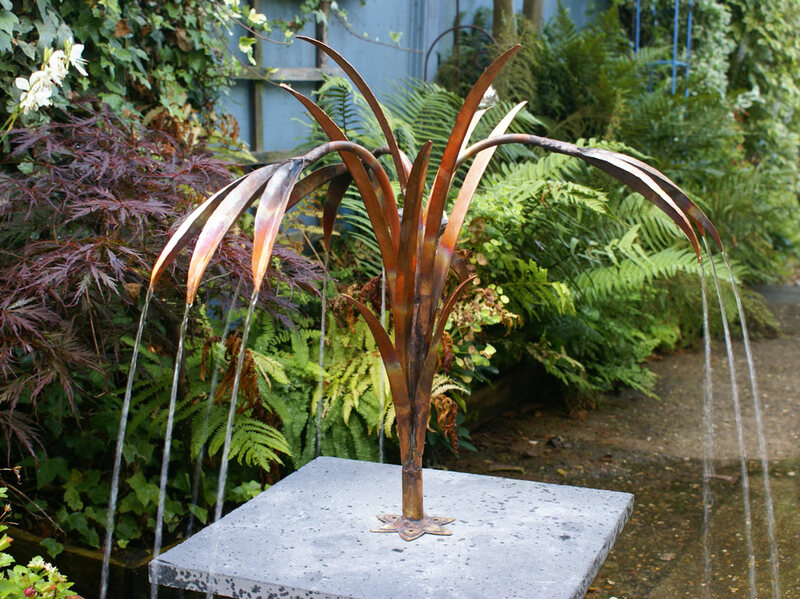 This fountain looks very natural in a pond and creates a lovely, gentle background sound of trickling water. 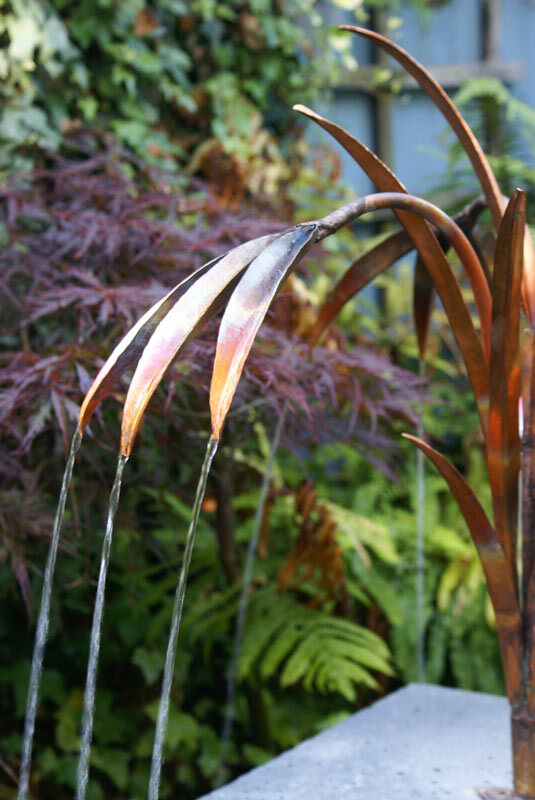 As with all of our fountains, the copper will quickly take on a dark patina, which can further develop tinges of verdi-gris green at the edges. This process continues over many decades and continually improves the appearance of the piece. 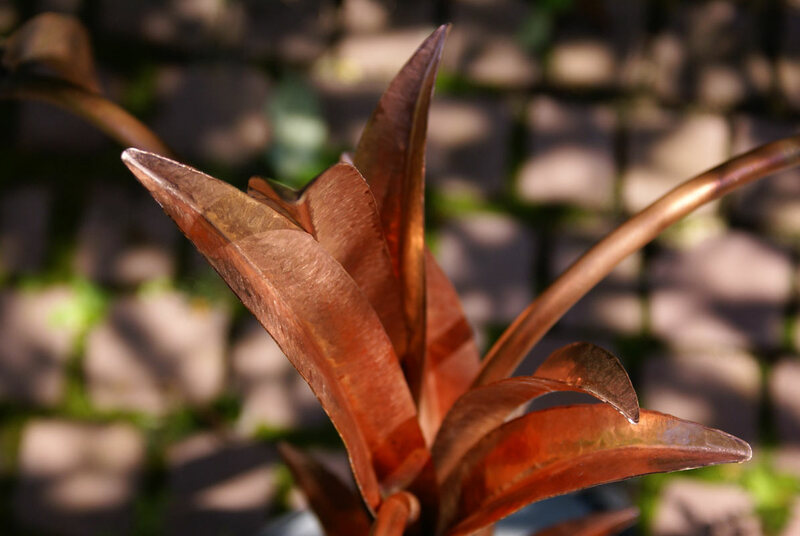 Through a process of annealing and hammering, very lifelike forms can be made from a plain sheet of copper plate. Where appropriate, all key joints are made using a specialist hard solder, which makes a union stronger than the copper itself. This enables the creation of a piece of sculpture, which may look light and fragile, but is in fact extremely resilient. 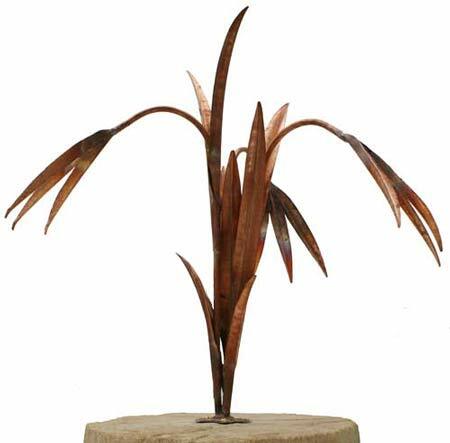 The copper is intentionally left natural and uncoated, to benefit from the constant changing patinas building up over many decades. This process allows the fountain to blend perfectly into a garden, integrating, without dominating.